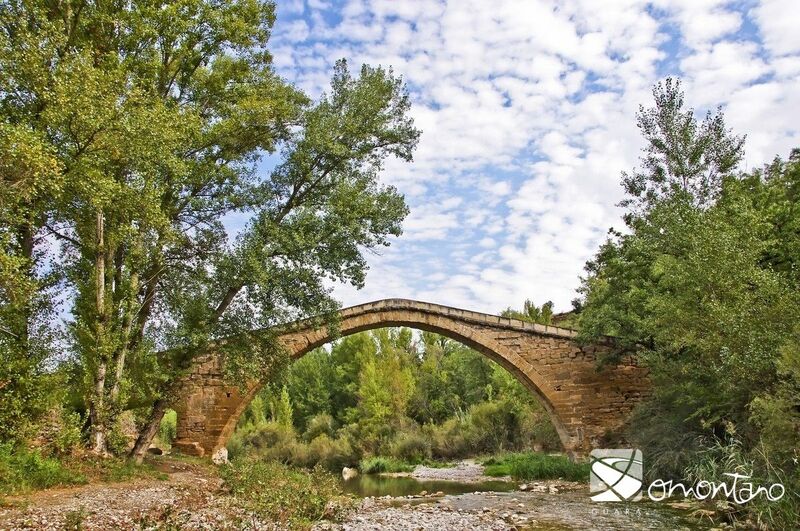 This bridge allows access to Colungo and the mountain range from the Barbastro path. 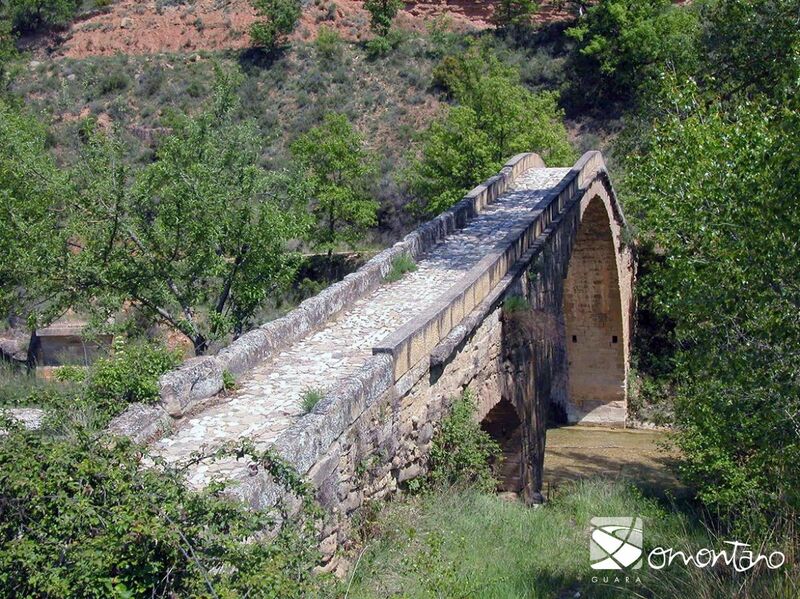 Erected around the 13th century, it is one of the oldest bridges still intact in Somontano and also one of the most beautiful. 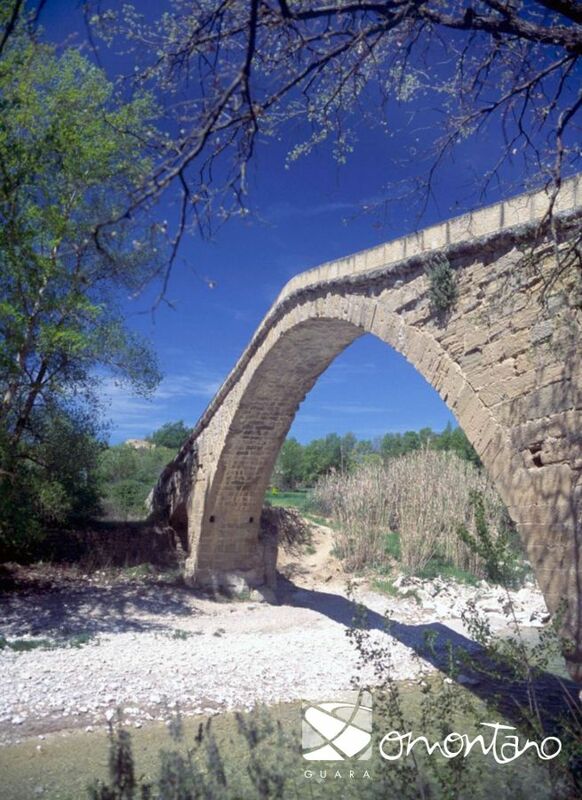 The precision of its construction, the excellent cut of the stone and the fact that it has survived the strong surges of the Vero’s waters are testament to the master bridge makers who constructed it. Marks on the voussoirs of the arches reveal that they were moved with some kind of lifting tackle to aid their assembly. 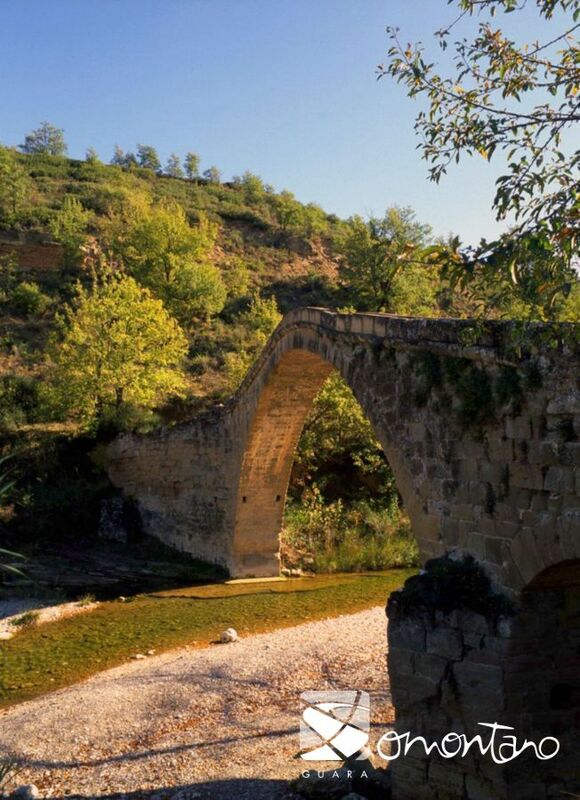 The side profile of the bridge takes the form of a “donkey’s back”, characteristic of medieval bridges. 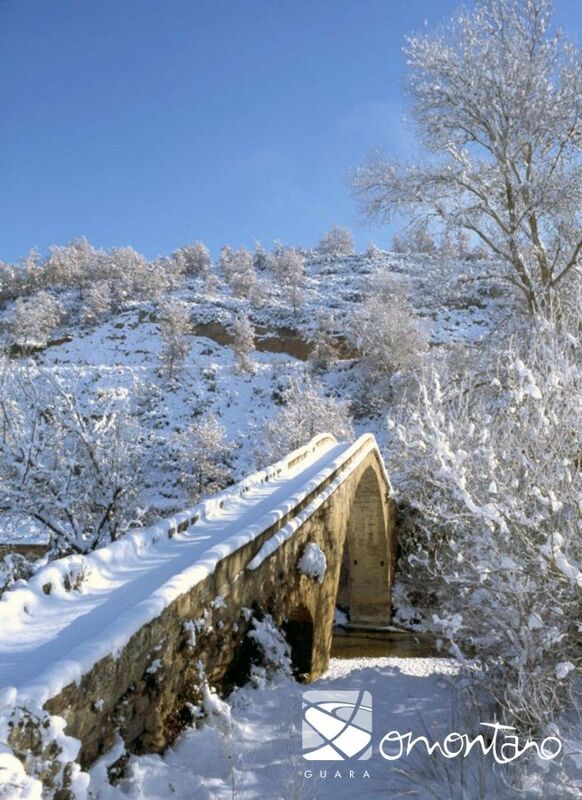 This affords it a slender and elegant silhouette that is further enhanced by the light and height of its single arch. 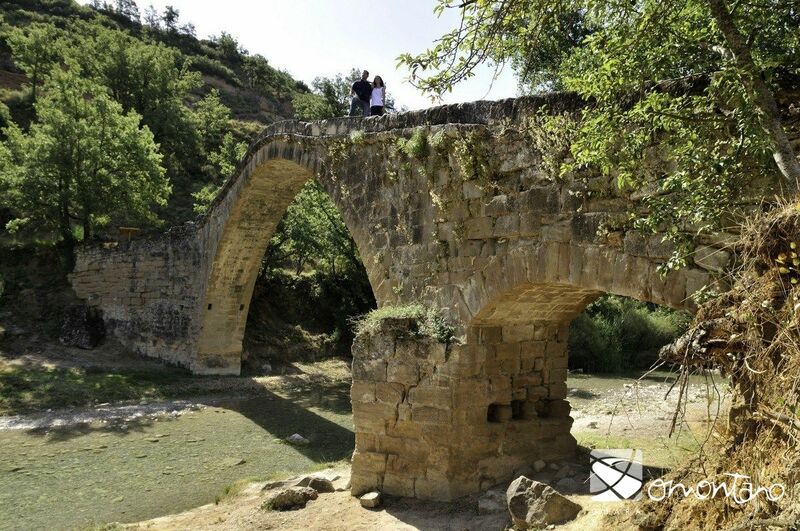 In fact its popular name albarda makes reference to the saddle that pack animals wore at that time.